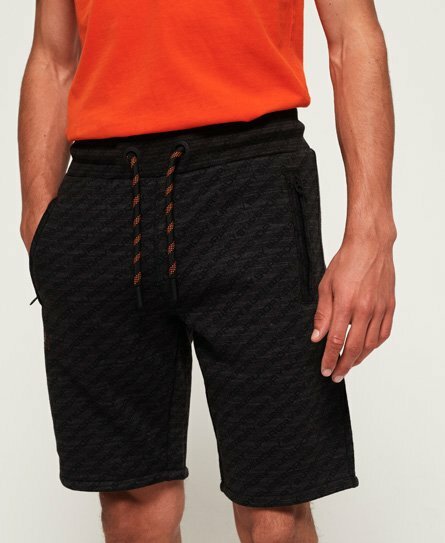 Superdry men’s Urban panel shorts from the Orange Label range. These jogger style shorts feature a drawstring waist, two zip fastened front pockets, and two back pockets with popper fastening. The Urban panel shorts are finished with a Superdry logo badge above one of the back pockets.